Leading Exporter of dutasteride capsule, dutas 0.5 capsules, proscalpin 1 mg, finpecia, darilong 7.5 and darilong 15 tablet from Surat. We hold specialization in Exporting and Trading wide range of Pharmaceutical formulations.With our expertise in this industry, We are able to offer superior range of Dutasteride Capsules/Tablets. At vendor’s end, offered tablets are processed using the latest quality chemical compounds and modern technology in sync with industry norms. Our provided tablets are tested on predefined parameters so as to ensure their quality and high purity. Apart from this, clients can avail these tablets from us in various packaging options.Dutasteride, Dutasteride capsule, Dutasteride tablet. 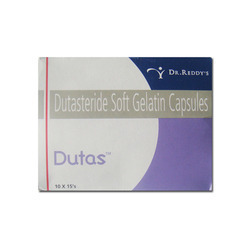 - Dutasteride useful for the symptoms of Benign Prostatic Hyperplasia (BPH) which is colloquially known as an "enlarged prostate". It reduce the overall risk of being diagnosed with prostate cancer however there is insufficient data to determine if they have an effect on the risk of death and may increase the chance of more serious cases. 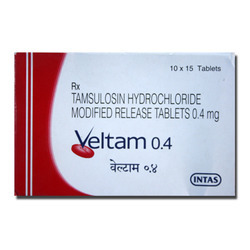 - 0.5mg plain Tablets and in combination with Tamsulosin. 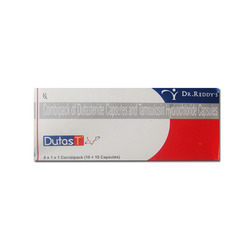 Dutas 0.5 mg capsule contains Dutasteride 0.5 mg is used to relieve symptoms caused due to enlargement of prostate gland benign prostatic hyperplasia (BPH)) and to reduce risk of acute urinary retention (AUR) and need for surgery in patients with moderate to severe symptoms of benign prostatic hyperplasia. 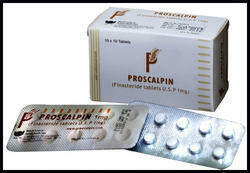 Proscalpin 1 mg tablet contains Finasteride 1 mg is used to relieve symptoms of elarged prostate gland (benign prostatic hyperplasia or BPH). It is also used for treatment of male pattern hair loss (androgenetic alopecia). 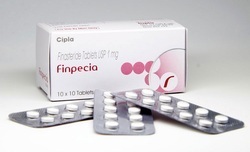 Finpecia Tablet which are use for treating male pattern baldness. The offered drugs are effective in performance and provides with desirable results in a short span of time. Being procured from highly reputed manufacturers, it is pure in composition and widely demanded by our clients. 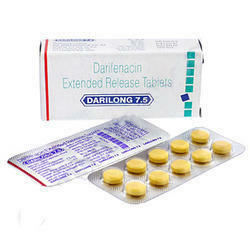 Darilong 7.5 mg tablet contains Darifenacin 7.5 mg is used to treat symptoms of urination related problems (overactive bladder) such as frequent or sudden rush to the toilet or leakage of urine. 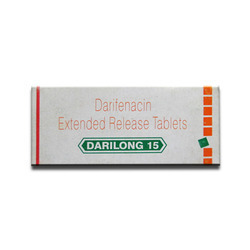 Darilong 15 mg tablet contains Darifenacin 15 mg is used to treat symptoms of urination related problems (overactive bladder) such as frequent or sudden rush to the toilet or leakage of urine. 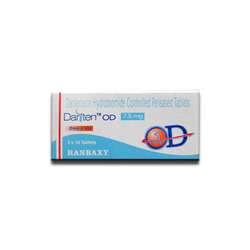 Dariten OD 7.5 mg tablet contains Darifenacin 7.5 mg is used to treat symptoms of urination related problems (overactive bladder) such as frequent or sudden rush to the toilet or leakage of urine. 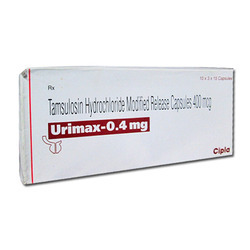 Dutas T capsule contains Tamsulosin 0.4 mg is used to improve urination in men with enlarged prostate (benign prostatic hyperplasia) and Dutasteride 0.5 mg is used to relieve symptoms caused due to enlargement of prostate gland benign prostatic hyperplasia (BPH)) and to reduce risk of acute urinary retention (AUR) and need for surgery in patients with moderate to severe symptoms of benign prostatic hyperplasia. Urimax 0.4 mg capsule is used to improve urination in men with enlarged prostate (benign prostatic hyperplasia). Veltam 0.4 mg tablet is used to improve urination in men with enlarged prostate (benign prostatic hyperplasia). 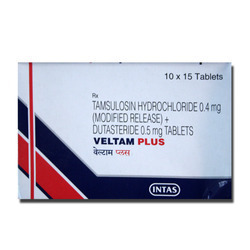 Veltam Plus tablet contains Tamsulosin 0.4 mg is used to improve urination in men with enlarged prostate (benign prostatic hyperplasia) and Dutasteride 0.5 mg is used to relieve symptoms caused due to enlargement of prostate gland benign prostatic hyperplasia (BPH) and to reduce risk of acute urinary retention (AUR) and need for surgery in patients with moderate to severe symptoms of benign prostatic hyperplasia. 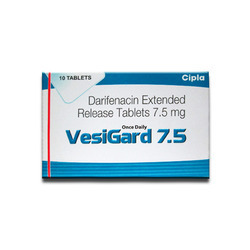 Vesigard 7.5 mg tablet contains Darifenacin 7.5 mg is used to treat symptoms of urination related problems (overactive bladder) such as frequent or sudden rush to the toilet or leakage of urine. 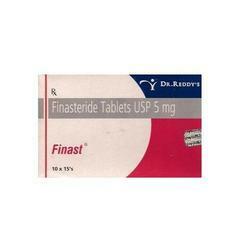 Finast 5 mg tablet contains Finasteride 5 mg is used to relieve symptoms of elarged prostate gland (benign prostatic hyperplasia or BPH).It is also used for treatment of male pattern hair loss (androgenetic alopecia). 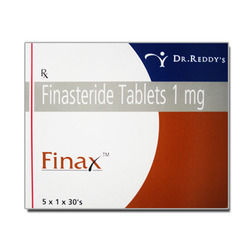 Finax 1 mg tablet contains Finasteride 1 mg is used to relieve symptoms of elarged prostate gland (benign prostatic hyperplasia or BPH).It is also used for treatment of male pattern hair loss (androgenetic alopecia). 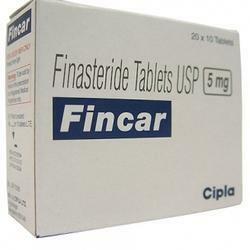 Fincar 5 mg tablet contains Finasteride 5 mg is used to relieve symptoms of elarged prostate gland (benign prostatic hyperplasia or BPH).It is also used for treatment of male pattern hair loss (androgenetic alopecia). 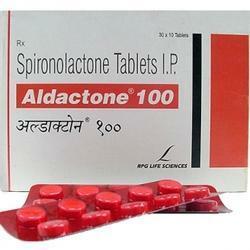 Aldactone 100 mg tablet contains Spironalactone 100mg is used in the treatment of hyperaldosteronism (the body produces too much aldosterone: a naturally occurring hormone), low potassium levels, heart failure and in patients with edema (fluid retention) caused by various conditions including liver or kidney disease. It is also used alone or with other medications to treat high blood pressure. 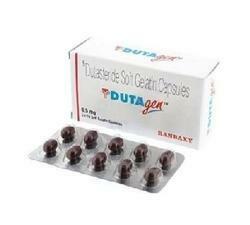 Dutagen 0.5 mg capsule contains Dutasteride 0.5 mg is used to relieve symptoms caused due to enlargement of prostate gland benign prostatic hyperplasia (BPH)) and to reduce risk of acute urinary retention (AUR) and need for surgery in patients with moderate to severe symptoms of benign prostatic hyperplasia. We bring forth our vast industrial experience and expertise in this business, indulged in offering superior quality assortment of Generic Proscar. 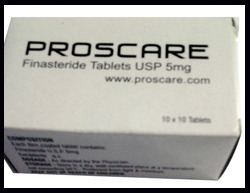 This Generic Proscar is widely demanded in different hospitals and nursing homes for the treatment of various diseases. Our product range is checked for quality before got delivered to the client’s end. Furthermore, customers can purchase this product from us at most affordable price. With the growing demands of medicinal products in the market, we are able to provide high quality medicines for various healthcare needs. Our Urimax is a popular prostatic hyperplacia medicine largely recommended by doctors. These reliable medicines are sourced from the certified vendors and are largely supplied to several clients throughout the nation. 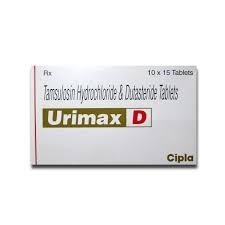 Urimax D tablet contains Tamsulosin 0.4 mg is used to improve urination in men with enlarged prostate (benign prostatic hyperplasia) and Dutasteride 0.5 mg is used to relieve symptoms caused due to enlargement of prostate gland benign prostatic hyperplasia (BPH) and to reduce risk of acute urinary retention (AUR) and need for surgery in patients with moderate to severe symptoms of benign prostatic hyperplasia. Looking for Prostatic Hyperplacia Medicines ?